There were so many brilliant movies in the 90s that it’s hard to pick a favourite. Luckily, we have websites like Rotten Tomatoes and IMDB to help us. We’ve taken a load of classic 90s movies, added together their Rotten Tomatoes and IMDB user scores and worked out an overall average score. We then ranked all those movies to find out which 90s movie the collective internet loves most. (note: where two or more movies have the same average score, we’ve used the total number of reviews to determine their position!). Saving Private Ryan highlights the personal tragedies and anguishes of one of the most tragic conflicts in human history, while capturing the wider horrors of war too. The opening sequence, set during the D-Day landing, is still unbelievably powerful nearly 20 years later, and the emotional journey to find the last surviving Ryan brother is equally heartbreaking. One of Spielberg’s best. World War 2 loomed large over 90s cinema, although few approached it quite like Life is Beautiful. Following a family incarcerated in a concentration camp, a father tries to shield his son from their horrific situation by pretending they’re in a competition to win an armoured tank. It’s both hilarious and heartbreaking, the kind of movie that’ll make you laugh, cry and hug everyone within a 100 metre radius. Life is indeed beautiful. The 90s was a fantastic decade for plot twists, with The Sixth Sense and Fight Club among the best. The Usual Suspects, however, is the undisputed king of the ‘oh my god!’ moment. The film, which follows detectives as try to find the criminals behind the destruction of a freighter and the murder of practically everyone on board, builds the myth of the apparent mastermind, merciless drug baron Keyser Soze, masterfully through the testimony of a petty criminal – making the final twist all the more shocking. American History X charts the fall and rise of Derek Vinyard, who forms a Neo-Nazi gang after his father is murdered. A stint in prison causes Derek to question his beliefs, however, and he tries to stop his younger brother falling in with the same crowd. Edward Norton’s performance as Derek is arguably his best ever, earning him an Academy Award nomination, while Edward Furlong’s performance helped him move out of the shadow cast by his role as John Connor in Terminator 2. American History X is one of the most difficult, heart-breaking movies of the 90s, but it still strikes a strong note in today’s political climate. Forrest Gump tells the tale of a simple man who does remarkable things but only really wants the love of his childhood sweetheart. Despite sweeping the Oscars, Forrest Gump isn’t universally loved by critics. It currently has 74% on Rotten Tomatoes, which is okay but not fantastic. Audiences seem to disagree though – and we do too. Yeah, it’s pretty schmaltzy, but Hanks’ performance makes it difficult not to get swept up in it all. In The Godfather, the Mafia do bad things but seem like pretty principled guys; they value family over anything else, and Don Corleone seems to be a widely respected dude. In Goodfellas, pretty much everyone is a paranoid, vicious wreck hooked on drugs and unafraid to shoot everyone in sight if it means scoring a few dollars. Based on the real life experiences of Henry Hill, Goodfellas is an ultra-stylish, often hilarious look at life as a wiseguy. Now go home and get your shine box. If the 80s were the decade of decadence and ridiculous levels of self-confidence, the 90s were the decade of angst and the feeling that maybe a life based on acquiring loads of stuff isn’t that fulfilling. No movies sums this feeling up better than Fight Club, which follows an angry young man who joins an underground fight club (don’t talk about it) and meets an awesome, equally angry chap named Tyler Durden. Fight Club is an angry movie for angry people, holding up a mirror to our worst excesses. It has some good scraps too. Although Reservoir Dogs was a popular movie, Pulp Fiction was the movie that really introduced the world to Quentin Tarantino. Documenting the intertwined lives of various low-lifes in Los Angeles, it’s a gripping, sordid and hilarious movie that no-one has managed to quite capture the magic of again – not even Tarantino himself. Schindler’s List is a movie that never leaves you. Filmed entirely in black and white, it charts the remarkable effort of a local factory owner as he tries to save Jewish people from incarceration at concentration camps during the Holocaust. It’s both life-affirming and harrowing, a reminder of both the horrors and the intense compassion and goodness humanity is capable of too. Schindler’s List is a genuinely important movie that everyone should see. No surprises here. 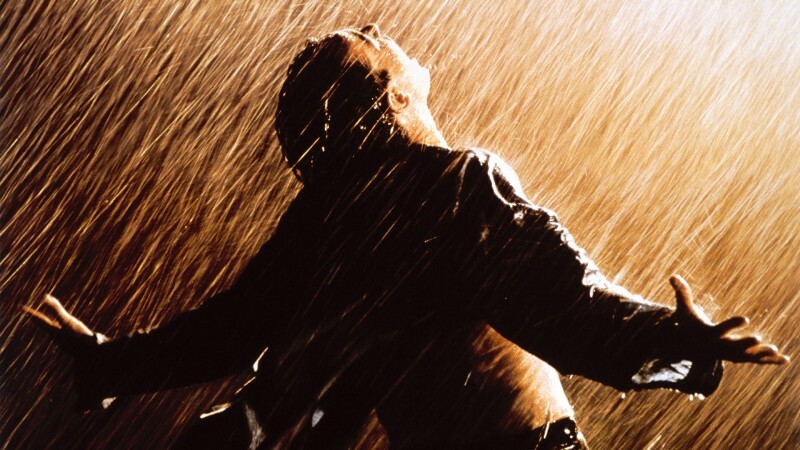 The Shawshank Redemption has sat the top of the IMDB Top 250 for a long time, and it’s not hard to see why. Telling the story of a wrongfully imprisoned man who deals with his terrible fate by befriending a fellow inmate, The Shawshank Redemption is a tribute to the unbreakable human spirit and the power of friendship too. No wonder so many people like it! What’s your favourite 90s movie? Let us know in the comments. You can find all of the movies in the post, as well as many more 90s classics, in the amazing 90s collection on the musicMagpie Store. With prices starting from just £1.19 and some brilliant offers – including 2 for £3 and Buy One Get One FREE – you’re bound to find a bargain!